How to move with pets? Don't cause necessary stress to your animals. How to move with pets? All pets require special consideration when moving. 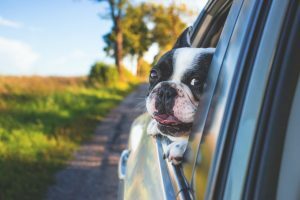 Before you move, contact the state veterinarians office, requesting pet laws and regulations of your destination state. Check with the local clerk’s office for pet ordinances. Leash requirements are common, and licensing may be necessary. Before the departure, request your pets health records from your vet. Also, make sure that your pet identification is up to date. It may be helpful if you have your pet microchipped. Make sure that your pet’s vaccination is current. Everyone likes to travel with their favorite stuff, and your pet is no different. 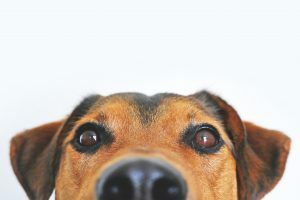 Make sure you check in on them regularly; having some sense of a routine in the midst of all the changes will help a lot.Packing up all at once is likely to make your pets anxious. Start the process early and stretch it out over several days. Take breaks and allow your pets to continue their routines while packing. Make sure your pet knows that you are not leaving him behind. That being said, make sure you do everything according to the plan. Stick to your schedule. Don’t do everything at the last minute. There will be no time for panic. You want to make sure your pets aren’t getting traumatized by the move. Make sure your furry friend knows that you are taking him with you at all costs. If your new house is just around the corner, take your dog for a walk there. Let them get used to the new surroundings. Let the dog see how everything is. Consider that many animals anticipate something happening when they see signs. 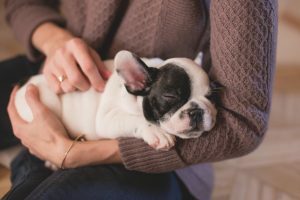 Another consideration is that when you have a lot of people working around the house, and there is a lot of chaos, you should probably send your pet away for a while. Send your pets away for a weekend at a night care, but make sure it is the same place you take them when you go on a vacation. Pick them up when everything is prepared and moved in. Dogs are usually not strangers to the car drives. The best possible scenario includes you right next to your pet during the trip. That may not be possible if you are planning on traveling by plane. Why? Well, some airlines don’t allow pets in the cabins. This usually depends on the size of the pet, but make sure you do your research prior to the flight. You don’t want your beloved dog or cat to end up in the cargo section. Another option is traveling by your car. This seems easy, but it may not be. Your dog might be used to the driving, but your cat or guinea pig is most definitely not. To prepare for this scenario, it might come in handy if you obtain some sedatives from the vet’s office. Either way, the safest thing to do is to put your pet in carrier crate. This will most likely prevent any accidents. It will also provide some safe surrounding for your animal. You should consider getting your pet familiar with the transporter. Put it in your house, and unlock it. Stuff it with your pets favorite pillow, or toy. This will make the whole process much easier. You don’t want your cat or dog to feel punished, so don’t surprise them with the crate. Make sure that the carrier is big enough, so your pet can stand up and move around in it. During the move, put the pets in quiet, calm area of your house. Feed them with their favorite foods. The trip is no time for food changes. Play with them as much as possible. Make as many rest stops as possible. Potty breaks should be at least 10-15 minutes long. Use them to walk and stretch. Keep your windows down. Don’t leave your pet in a hot car. Keep water close to hand, especially if you are expecting a long ride. Before letting your dog off, patrol your new house and backyard. Dogs adjust to new houses more easily than cats and other animals. But, you still want to take a few precautions to ensure your pooches safety. Before letting your dog off its leash, patrol your new house and backyard. Look for mouse bait, sharp objects, and cleaning products that previous owners left behind. Check for poisonous plants and mushrooms. If you have a swimming pool, you will have to train your animals how to swim and how to find their way out of it. Moving cat to the new home isn’t easy. In fact, it is a lot harder than moving dogs or smaller animals. Cats have specific needs and they need extra time to adjust to the new surroundings, sounds, and smells. Make sure your cat has everything she needs during the move and that she receives proper care when being introduced to your new home. Place kitty in her carrier with a familiar blanket in a quiet contained room away from the commotion of the move. Leave the door of the carrier ajar.It will allow her to come out when she is ready. Leave a few boxes in the room, so she has a place to hide when frightened. Let your pets explore the new house. Give them room by room tour if needed. Show your pets their water and food dishes. They might be too nervous to eat right away, but they will come around. One more thing to think about is the fence. Some pets tend to escape yards when they are feeling stressed out, overwhelmed or scared. Make sure this doesn’t happen.